Contrary to earlier predictions, there is no loss of human life in this episode. There is a close call, but with an episode title like “The Price of Life”, one would think there’d be another casualty. No, it’s just Okada being smart and instead focusing on making all plot and character elements endure a slow burn before Tekkadan heads off into the stars. This is fine. This is absolutely fine. Elsewhere, Mika continues to be that complicated type that Orga went on about in the last episode. Despite his distance and brusque interaction with Kudelia, he still invites her to harvest some corn for Biscuit’s grandmother. The scene in the cornfield is a marvel with regards to bringing Kudelia to a level where she can see who she is fighting for. Mika does not berate or demean her ignorance, but instead lets her learn the struggles he and the rest of the Martian colonies have to face, and find something new that she enjoys, even if it’s harvesting corn. Instead of dragger the upper class down to his level, Mika just extends his hand upwards, and brings her gently down to see how he sees. Can’t help but gush at these developments and admiring how smart the execution is. The only thing that can’t be gushed about is the conniving little man (Todo I believe) with the Chaplin mustache. 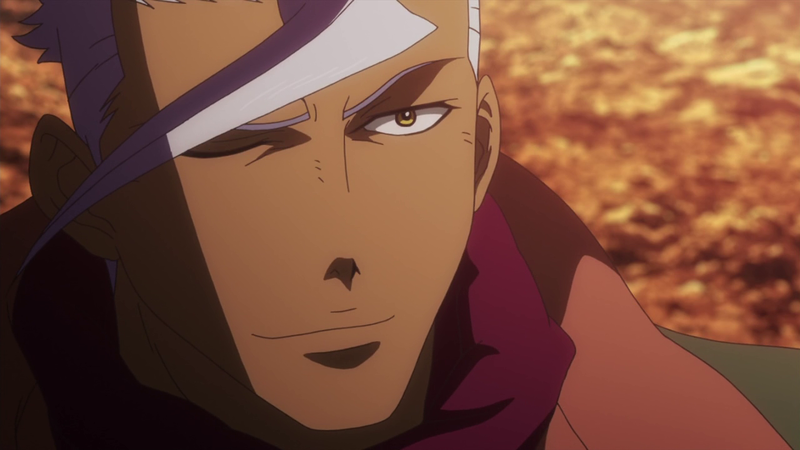 Although just by looking at him it is inevitable he would betray Tekkadan, the show is making such machinations happen fast. By episode’s end, he mutters eagerly about showing them what happens when you mess with adults. Why would a self-preserving toady make this move so early in the game, and what will it portend on a thematic level? Obviously, it will allow for the needed robot battle next episode, but what else? Either way, we will see. Hopefully when that occurs he dies horribly. Again admiration must be given towards how the show handles exposition. 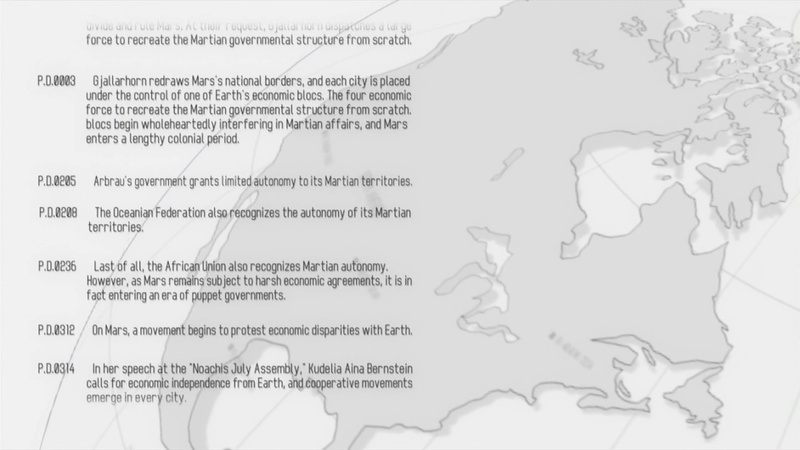 Instead of leaving it on the official website or to a narrator, the show scrolls an entire timeline IN LEGIBLE ENGLISH while Fareed and Bauduin discuss related matters. What a terrific touch. Even more terrific is right after, when it then showcases the four powers of the Post Disaster timeline and their spheres of influence. If this map is any indication: Trudeau was probably a bad choice, and Okada has a very cynical outlook on what’ll happen to Europe in the future. 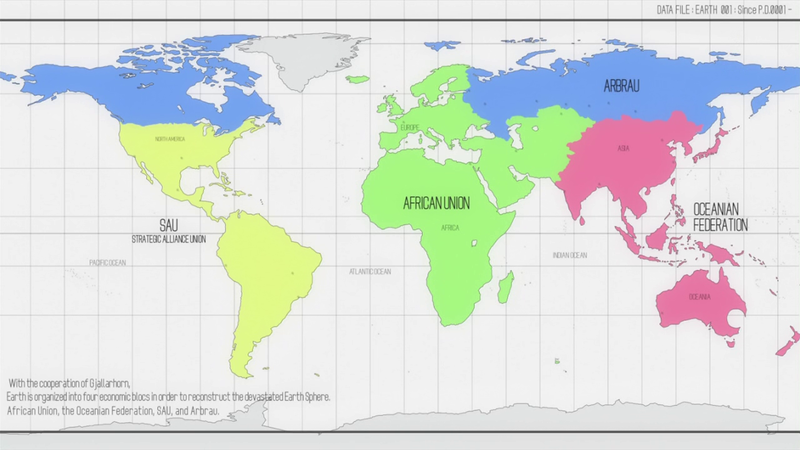 Also, the Universal Century for some reason rears its head on that map. 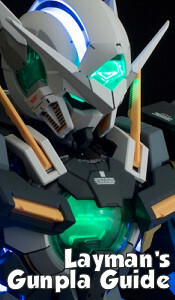 As they keep finding add-ons for the Barbatos, it seems like it will also be reflected in the OP. It’s gonna be weird to have a Gundam TV show NOT dubbed by the Ocean Group. It’s fine though if it’s Bang Zoom. I guess that means Yuri and Kyle for Mika and Orga then! …Maybe. May have also spoken too soon on saying Nobliss was the cool hat guy in the OP. He did not look like the sweaty fat man in a sauna.